(NaturalNews) Under Obamacare, American families are forced to buy conventional health insurance that primarily benefits the pharmaceutical industry. By 2016 -- just three years from now -- the cheapest health insurance plan available will cost a typical American family $20,000 a year, the IRS has now announced. Here's the news: The IRS just published descriptions of the financial penalties American taxpayers will pay if they fail to purchase the rip-off health insurance mandated under Obamacare. "The examples point to families of four and families of five, both of which the IRS expects in its assumptions to pay a minimum of $20,000 per year for a bronze plan," reports CNS News. It goes on to report, "The IRS's assumption that the cheapest plan for family will cost $20,000 per year is found in examples the IRS gives to help people understand how to calculate the penalty they will need to pay the government if they do not buy a mandated health plan." For the record, we here at Natural News repeatedly warned people about the Obamacare scam, describing how it was a forced taxpayer handout to Big Pharma and the dangerous sick-care industry which kills 783,000 Americans a year. Over the last few years, critics of my reporting on this subject insisted we were "conspiracy theorists" and that Obamacare would offer free health care to nearly everyone! Those who still had to buy health insurance would see rates go down, we were told by hypnotized, Kool-Aid-drinking Obama supporters. That's why Obamacare is called the "Affordable Care Act," after all. How could it be called the "Affordable Care Act" if it wasn't going to be affordable, they insisted. So now the truth comes out. Obamacare is a total scam, a complete rip-off, a massive handout to Big Pharma and a disaster to the U.S. wage earner. Obamacare is going to bankrupt America. Every family, small business owner and corporations is going to be financially suffocated under this burden, to the point where tens of millions simply surrender to the system, get on welfare, and become lifelong Democrats voting for larger and larger handouts. Obamacare was always designed, from the very start, to loot the American taxpayer and put government in a position of monopolistic power over your health care decisions. This is the move toward fascism that's going to absolutely gut America and put millions of people on the street, homeless, jobless and diseased. Who can afford $20,000 a year in health insurance? Like everything else Obama has tried to shoved down America's throat, the Affordable Care Act is an outright catastrophe. It funnels hundreds of billions of dollars into the coffers of health insurance companies, vaccine manufacturers and drug companies, but it does absolutely NOTHING to help the American people. Obamacare is, ultimately, nothing more than a financial racket enforced at gunpoint by the government itself. It's Big Pharma looting your pockets while an armed government IRS agent stands by and nods approval. Obamacare is institutionalized looting of the paychecks and bank accounts of the American people. It is the equivalent of being mugged at knifepoint with the demand, "Your wallet or your life." In the case of Obamacare, however, you lose both your wallet and your life! It's time those of us who stand for true liberty and justice in America stopped playing so nice. The people who are pushing Obamacare, the NDAA, citizen disarmament and other similar schemes are traitors to America. They need to be removed from power immediately. But that's only the beginning: Why doesn't the FTC investigate the pharmaceutical monopoly enforced by the FDA in which drug companies earn 60,000% profit markups on their FDA-approved drugs? State medical boards need to be entirely disbanded, as they criminalize alternative medicine, holistic medicine, acupuncture, chiropractic and other forms of healing. The health insurance scam needs to be eviscerated. Its only purpose is to earn more money for health insurance companies and pharmaceutical interests. The system cares nothing for the American people, and it is based entirely on profit, not compassion or human dignity. The cancer industry, with all its corrupt nonprofits, is a criminal racket that's operated much like a mafia. Under the RICO Act, much of modern medicine could be shut down, unleashing the free market forces of alternative and complementary medicine which can provide safe, effective and low-cost health care to the entire nation. But this is not allowed by Obama. Nor was it allowed under Bush, who conspired with Big Pharma to keep drug prices ridiculously high, soaking Medicare for hundreds of billions of dollars. Time and time again, every U.S. President is a health care sellout, and no one sold it out more completely than Obama. The more this man does, the worse it gets. Let me ask you this: How are you going to come up with $20,000 a year to pay for health insurance? Oh wait, let me guess: You think your job is going to buy it for you? Think again: U.S. employers are increasingly offshoring jobs precisely to avoid these costs. So you're more likely than ever to find yourself unemployed by 2016. All across America, employers are responding to Obamacare mandates by slashing the weekly work hours of employees. U.S. businesses that used to thrive at full production are now experiencing severe shortages because they simply can't afford to cover Obamacare costs for full-time employees. Obamacare is absolutely gutting America's economy it is must be repealed as soon as possible to stop the hemorrhaging of U.S. jobs. 1) Arrest all Big Pharma CEOs and top executives who have been involved in felony crimes, price fixing, doctor bribery, experiments on children and so on. 2) Outlaw vaccines additives such as mercury, aluminum, MSG and formaldehyde. 3) Decriminalize natural medicine and stop prosecuting alternative cancer doctors. 4) Abolish the FDA and end the drug monopoly cartel. Restore the free market to medicine. 5) Halt all Medicare and Medicaid payments to drug companies, hospitals and health insurance companies. Instead, issue patients VOUCHERS that they can spend in any way they wish, to receive whatever form of care works for them. This would restore the free market to medicine, where competition would drive down prices and spur improved patient outcomes. 6) End all intellectual property claims on genes and medicines. Break Big Pharma's insidious cycle of inventing fictitious diseases and then marketing those fake diseases in order to sell deadly chemicals to a gullible public. Medicine belongs in the public domain, not in the hands of the greedy few. 7) Break the chain of influence between drug companies and medical journals, medical schools and the media. Outlaw drug money influence over all these institutions. Prosecute doctors for bribery if they have accepted money, gifts or free vacations from Big Pharma. 8) Decriminalize free speech about nutritional supplements, herbal remedies and natural therapies. Allow makers of natural products to tell the truth about the healing benefits of their products. 9) Encourage states to pass "medical freedom zone" laws that nullify federal laws concerning health care in their particular states. Openly allow the practice of alternative cancer therapies, nutritional therapies, etc. Turn your state into a medical tourism destination for all Americans! 10) End the artificial legal protections of Big Pharma and the vaccine industry. Restore due process rights to patients who have been harmed by drugs or vaccines. 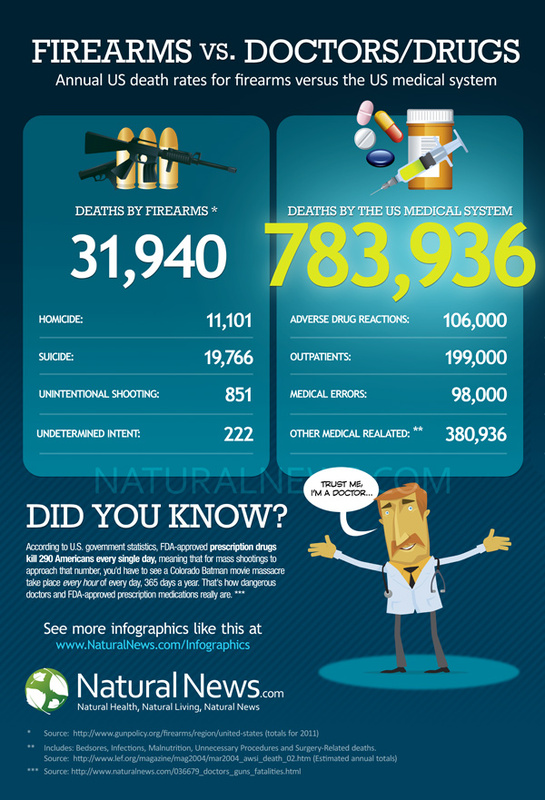 Only through this will drug companies clean up their act and stop killing to many people.